Slack is building a new analytics tool to offer businesses greater insights into how their teams collaborate, part of the company’s plans to make better use of the data created within its popular chat app. “We are hoping to build a set of insights that help you understand not only how Slack is being used, but how your company is collaborating and functioning,” said Jamie DeLanghe, head of Slack's Search, Learning and Intelligence (SLI) team. He spoke to Computerworld at the company's Frontiers event last week in New York. Slack's SLI division was created in 2016 to help make better use of the reams of information being created and stored as Slack adoption grows. The New York-based team is responsible for enhancing search functionality and developing the Slack “work graph,” which ties together data on a users' behaviour and interactions to enable more accurate recommendations. The team is also tasked with building out Slack's analytics capabilities to highlight areas for improvement based on information about how teams work together. Analytics is something Slack's rivals are focused on, too: Google launched Work Insights to track adoption of its G Suite software and identify which teams are collaborating frequently using tools such as Hangouts Chat. And Microsoft has launched Workplace Analytics, which performs a similar function for its Office 365 tools. For Slack, the move would add to existing analytics capabilities already available within its platform. For example, it is possible to see the number of daily and weekly active users, the volume of messages and files sent, as well as how many are using public channels. DeLanghe said that more can be done with Slack's data, which could be particularly useful as large companies embrace its platform; Slack's adoption has typically been on a team-by-team basis, but large companies such as 21st Century are now using its Enterprise Grid product across their operations. Slack’s largest customer, IBM, has more than 100,000 users. Improved analytics can help identify silos or communication bottlenecks in an organisation. It would be possible, for example, to identify how well a company's New York division interacts with colleagues based in San Francisco. “[If a] team seems to be operating really closely with San Francisco, let me talk with that team and see what they are doing that maybe the other teams aren't doing, and see if I can replicate that in other places in the organisation and then track that over time,” said DeLanghe. “It is about helping people understand how their organisation is actually collaborating and whether or not the company is transforming in the way they would like it to as they are using Slack,” she said. Other projects underway at the SLI division include channel search, which will simplify discovery of relevant channels for a user without the need to know that channel’s name. “We are working on making channel search easier so that you can find channels based on the topic, the descriptions – things other than the name to help you find the conversation and get engaged quickly,” said DeLanghe. 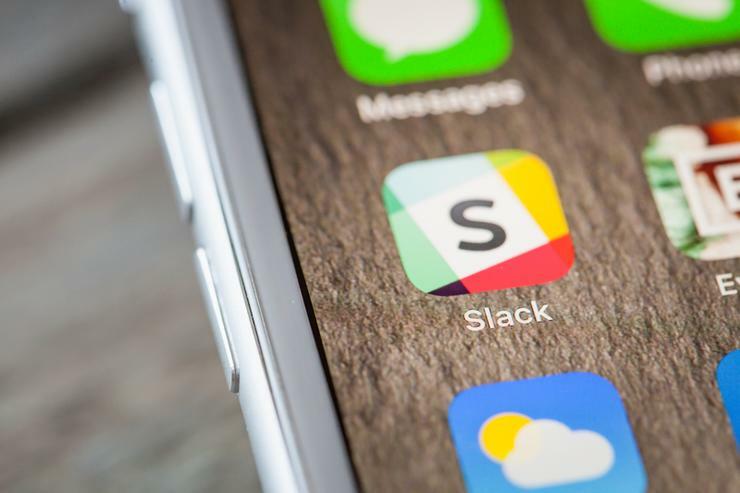 Among the other updates in the pipeline at Slack include a fast-loading desktop app, said Chief Product Officer April Underwood during a keynote on Thursday. The company has been busy rearchitecting the Slack client to improve performance, making it “significantly faster.” The updated desktop client will be made widely available “early next year” said Underwood. The new client, which requires less memory to run, will also work offline. Slack's Frontiers event in New York was one of three user conferences held by the company this year, with the others taking place in San Francisco and London. At the Frontiers event in San Francisco last month, the company announced updates for its Enterprise Grid product, which is used by 150 organisations. Among the features set to arrive is enterprise key management (EKM). This hands Enterprise Grid customers ownership of keys used to encrypt and decrypt sensitive data stored in Slack, “including messages, files and comments,” said Ilan Frank, head of enterprise product at Slack. In essence, EKM provides the security of an on-site solution with the benefits of a cloud tool, the company said. Slack has yet to confirm a launch date, but Enterprise Grid customers should expect to access the EKM feature by the end of the year.